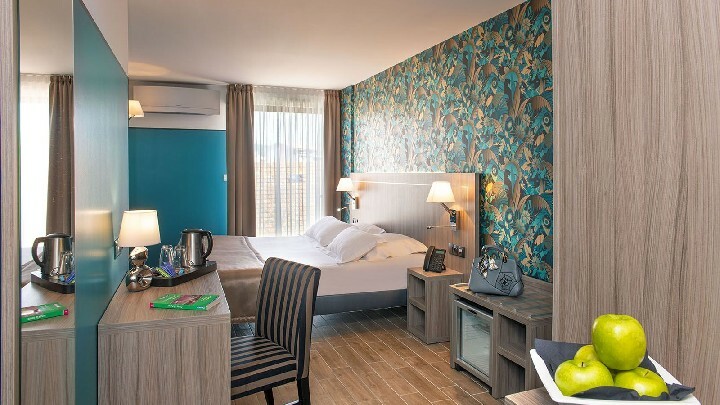 This brand new hote is conveniently located in the heart of Saint-Raphaël, 50 m from the port, beaches and town centre, 150 m from the TGV railway station. Our staff will do its best to make your stay unforgettable and unique. Our reception is open every day from 7.00am to 9.00pm. A generous breakfast is served in our lounge between 7.00am and 10.30am. It can also be served in your room if requested and at an extra charge. If you feel like an aperitif, a last drink or a snack, our Lounge bar is open every day from 7.00pm to 11.00pm. Its cozy, modern design will make your experience “unique”. Free Wi-Fi and PC available in the lounge. Bed and bath linens supplied, beds are made upon arrival. Cleaning upon departure is free. 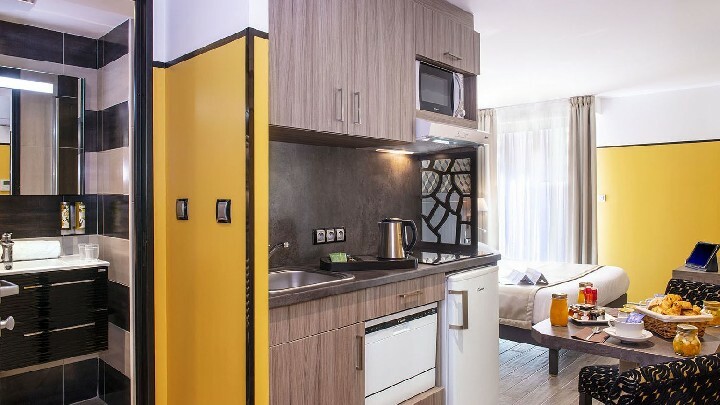 • Free WI-FI, private AC/heating control, complementary tea and coffee with kettle, safe, reading lights, mini bar, desk with Ethernet and internet, TV with French, international and radio channels including Canal+, Canal+ Sport, Bein Sport 1, 2 & 3, Canal + Cinéma, Family & Séries, Canal+ V.O. 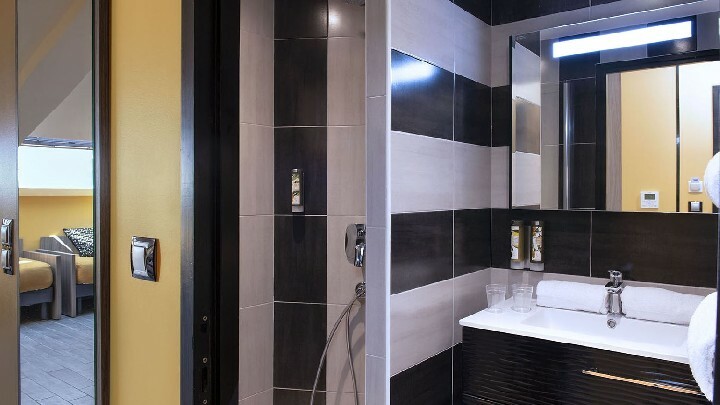 All bathrooms feature a walk-in shower, hair dryer, heated-towel rack, drawers, separate bathrooms.